The House’s fiscal year 2016 budget, which passed on a party-line vote last month, would eliminate concurrent receipt of Social Security Disability Insurance and unemployment insurance. A similar proposal was offered as an amendment to the Senate FY 2016 budget but did not come up for a vote. Other similar proposals failed last year, both as an amendment to a bill that would have extended emergency jobless benefits and during consideration of legislation to shore up the Highway Trust Fund. Multiple standalone bills along these lines have been introduced as well, such as legislation championed by Rep. Sam Johnson (R-TX) and Rep. Paul Ryan (R-WI) in the House and Sen. Orrin Hatch (R-UT) in the Senate. Proponents of these cuts say they would prevent “double dipping.” However, cutting benefits for Social Security Disability Insurance beneficiaries who lose a job through no fault of their own and must turn to unemployment insurance to partially replace their lost wages would punish them for attempting to return to work and push them and their families deeper into poverty. Ironically, the same House budget that proposes these cuts simultaneously calls for “promot[ing] opportunity for [Disability Insurance beneficiaries] trying to return to work.” Likewise, members of Congress who have supported these proposals frequently voice concern that too few Disability Insurance beneficiaries return to work. Policymakers can’t have it both ways. Social Security Disability Insurance is a core component of the nation’s Social Security system, providing vital protection to nearly all American workers and their families in the event that they experience a significant disability or severe illness before reaching retirement age. As detailed in a 2014 issue brief from the Center for American Progress, these modest but vital benefits are restricted to people with the most significant disabilities and severe illnesses, and individuals must have previously worked and paid into the system to earn coverage. While the vast majority of beneficiaries have debilitating health conditions or impairments that make substantial work unlikely, the Disability Insurance program contains strong work supports and incentives for those who may be able to return to work as their conditions improve. Beneficiaries are permitted and encouraged to test their capacity to work and may earn up to $1,090 per month in 2015 with no reduction in their Disability Insurance benefits. As a result, Disability Insurance beneficiaries may experience job loss that would legitimately enable them to qualify for unemployment insurance. If Disability Insurance beneficiaries attempt to return to work and subsequently get laid off from their part-time jobs, they may qualify for unemployment insurance just like any other similarly situated worker. However, the cuts in the House budget and other similar proposals would punish Disability Insurance beneficiaries for attempting to return to work—as they are encouraged by law to do—by cutting their Social Security benefits or by putting them at risk of losing their eligibility for benefits entirely. Disability Insurance benefits are modest, typically replacing about half or less of a worker’s earnings. The average disabled-worker benefit is about $1,165 per month in 2015—not far above the federal poverty line. 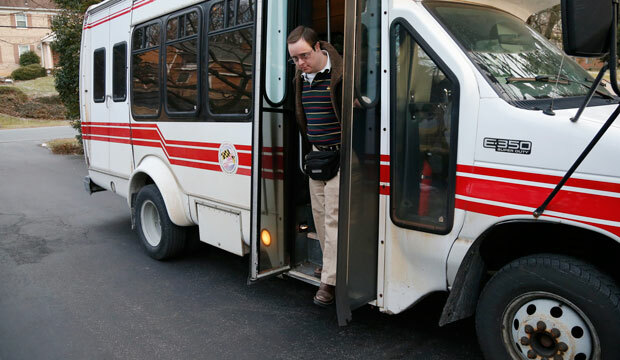 As a result, 1.6 million disabled-worker beneficiaries—or one in five—already live in poverty. Without Disability Insurance, more than 4 million current disabled-worker beneficiaries would be poor. According to the Government Accountability Office, for the less than 1 percent of individuals served by Disability Insurance or unemployment insurance who qualify for benefits under both programs, the average quarterly combined benefit in FY 2010 was $3,300—or just $1,100 per month. These modest benefits provide nothing short of a lifeline for disabled workers and their families when they need it most. Yet the cuts in the House budget and other similar proposals would push disabled workers and their families into or deeper into poverty, jeopardizing their ability to keep a roof over their heads and afford needed, often life-sustaining medications. Americans must work and pay into unemployment insurance in order to receive benefits in the event of a qualifying job loss. Yet the cuts in the House budget and other similar proposals single out Disability Insurance beneficiaries for second-class treatment under the unemployment insurance program, denying them the protection they earned and penalizing them for trying to return to work. Disability Insurance beneficiaries who lose a job and qualify for unemployment insurance should not be treated differently from other workers; they should be permitted to access the modest benefits they have worked hard to earn. In order to give people with disabilities a fair shot at employment, policymakers should focus on removing barriers instead of cutting already meager disability benefits. For example, policies such as raising the minimum wage, strengthening the Earned Income Tax Credit for workers without qualifying children, ensuring paid leave and paid sick days, expanding Medicaid in the nearly two-dozen states that have declined to do so, and increasing access to long-term services and supports would allow more people with disabilities to enter and remain in the workforce. Policymakers should also adequately fund vocational rehabilitation, leverage subsidized jobs, and reform counterproductive asset limits in assistance programs. Supporting work by people with disabilities has long been a bipartisan priority. But by cutting vital benefits for Social Security Disability Insurance beneficiaries who have attempted to return to work and lost a job through no fault of their own, the House budget and similar proposals mark a significant step backward. Congress should reject these harmful and discriminatory proposals and instead work to find common ground on policies that remove barriers to employment and improve economic security for people with disabilities.